The proposal to take federal action on behalf of the troubled Colorado River system morphed seemingly overnight into a legislative IndyCar powered by an astonishing level of bipartisan support. Passed by Congress on April 8, the Colorado River Drought Contingency Plan Authorization Act enjoyed the support of all 14 of the Colorado River Basin States senators, and was approved by acclimation by both houses. 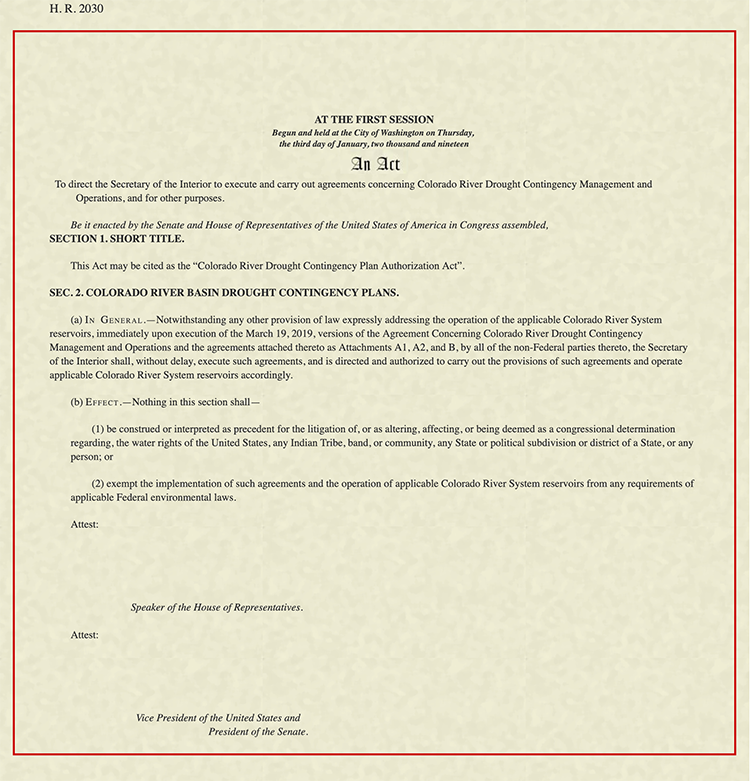 The Act formally authorized the Secretary of the Interior to execute and carry out multiple agreements in relation to the Colorado River Drought Contingency Plan crafted by the Seven Basin States. In the end, the nearly six-year negotiation process over a system-wide DCP came together fast. 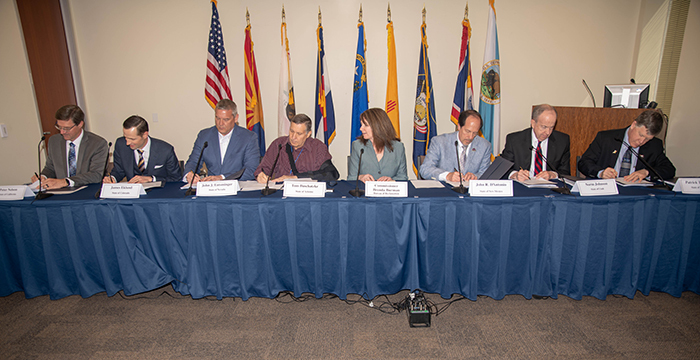 On March 19, the designated representatives of the seven Colorado River Basin States governors jointly signed a letter to Congress, imploring members to act swiftly on legislation to help protect the Colorado River system from the effects of historic drought. How those lawmakers did respond. Less than ten days after signing that Letter to Congress at the offices of the Arizona Department of Water Resources, three of the Basin States governors’ representatives, including ADWR Director Tom Buschatzke, went before the relevant House and Senate subcommittees, defining the pressing issues and illustrating to the federal lawmakers the urgency of addressing them. At every step of the way, Arizona lawmakers played key roles. Arizona Sen. Martha McSally chaired the Senate Committee on Energy & Natural Resources’ Subcommittee on Water and Power hearing on Wednesday, March 27. 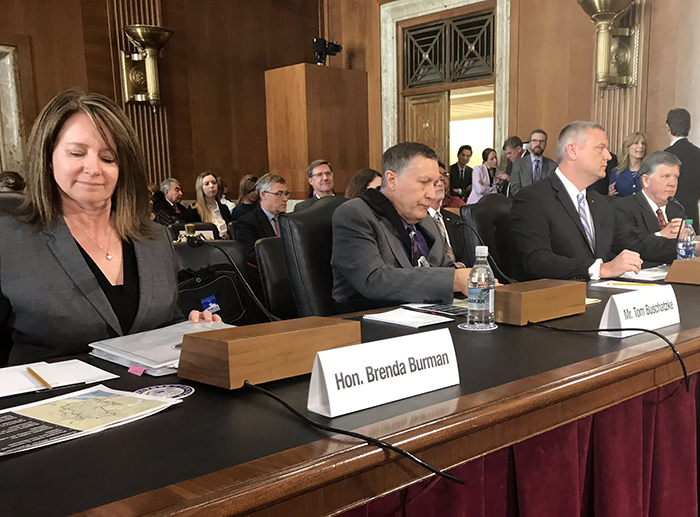 Buschatzke, John Entsminger of Nevada and Patrick Tyrrell of Wyoming were joined in the Senate hearing by Brenda Burman, Commissioner of the Bureau of Reclamation. 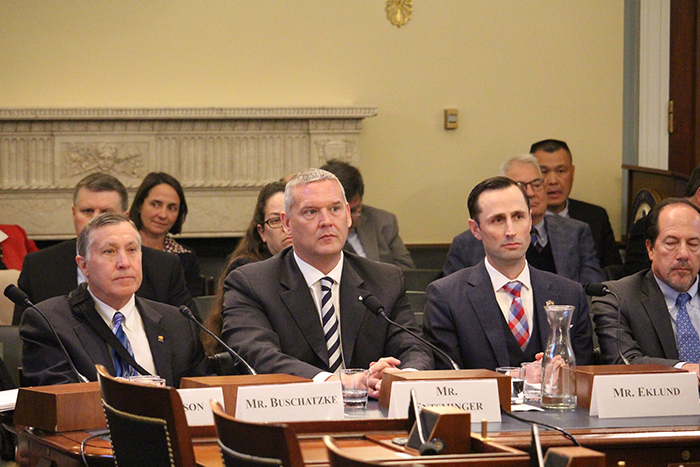 On Thursday, March 28, all seven of the governors’ representatives, again including Director Buschatzke, testified before the House Natural Resources Committee’s Subcommittee on Water, Oceans, and Wildlife. Sen. McSally had vowed at the Senate hearing a day earlier to do the same. Congressional gears were fully engaged. Within eleven days, both chambers of Congress acted. In quick succession on Monday, April 8, both the House and Senate approved the legislation by acclimation and sent the Act to the President’s desk for his signature. Just how was legislation affecting seven U.S. states, the Republic of Mexico and an estimated 40 million people in the Southwest able to zoom through a notoriously divided Washington, D.C.? One oft-cited rationale was that the really difficult work already had been accomplished among the states prior to the sojourn to Washington, D.C. That hard work paid off on March 19 when the governors’ representatives of all seven states signed their Letter to Congress in ADWR’s offices. “The last few weeks have been one of the most extraordinary periods in the history of ADWR and was a remarkable chapter in the long story of securing Arizona’s water supplies,” said Director Buschatzke, following the April 8 vote.